Bernice has rare beauty and wealth, but is undeniably socially awkward. Her cousin Marjorie does her best to make Bernice into a social vampire. Being a socialite in America in the 1920s, it seems to her that some of the more archaic feminine ideals need to go. 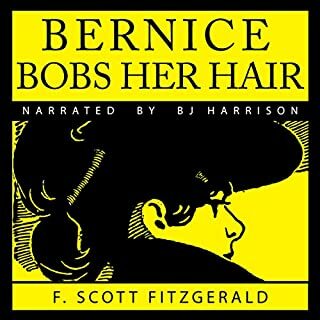 Bernice's long, luxurious hair may need to go, too. He has such a clear writing style that makes it an easy listen. If you liked the Great Gatsby, you'll love this short story. I can honestly say I did not foresee the twist at the end.